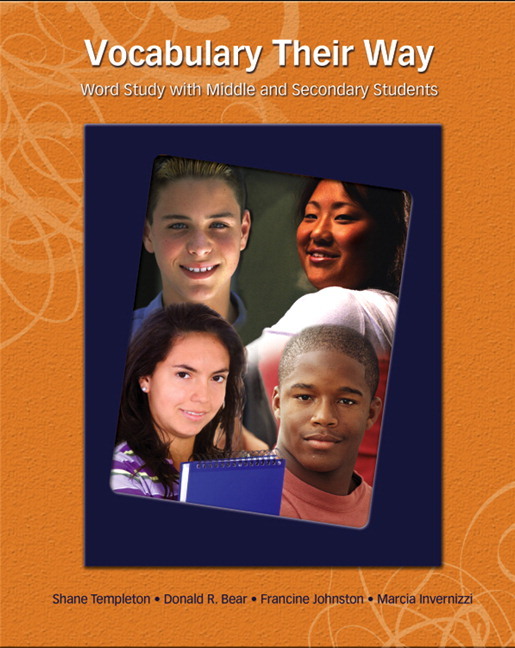 A new edition of the most comprehensive vocabulary text available for pre-service, novice, and experienced teachers of middle and high school students. A focus on context-based vocabulary instruction, coupled with effective, engaging, word-specific general and domain-specific vocabulary activities. Attention to ESL learners and struggling readers and writers throughout. Special attention to ways to organize for effective instruction. A focus on context-based vocabulary instruction includes reading and writing activities that exercise vocabulary and conceptual knowledge in every chapter. Effective, engaging, word-specific general and domain-specific vocabulary activities ensure the depth and breadth of exploration in important concepts across all disciplines. The generative morphology approach supports teachers in identifying and teaching these elements in both general academic and domain-specific vocabulary. 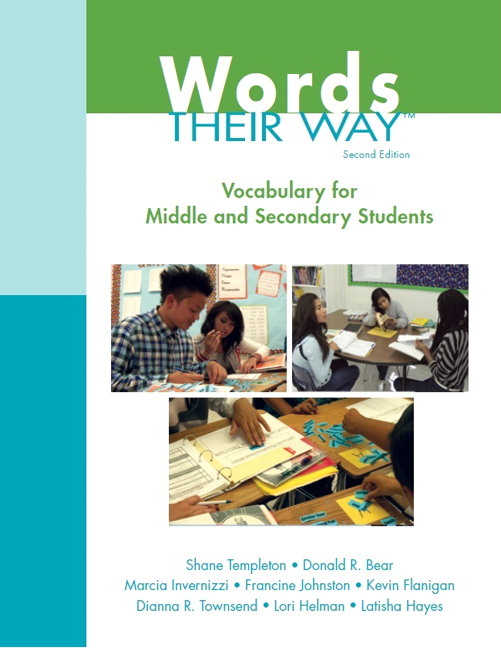 Accessible, realistic, classroom-based vignettes and examples show teachers how vocabulary instruction applies to each discipline. Differentiated instruction is presented and supported with examples as an invaluable tool for helping teachers reach every student. Strong support for teaching ESL students is included throughout. Attention to cognate instruction is paid through rich examples and illustrations (see especially Chapter 4). How to organize for instruction so that vocabulary and content knowledge are optimized is addressed in depth in Chapter 3. Sharing the most important research addressing what we know about how to teach words and how to teach about words. Straightforward ways to assess students’ vocabulary knowledge in your specific subject matter area and to organize your classroom for effective, differentiated vocabulary instruction. Addressing the challenges and opportunities for multilingual learners’ vocabulary instruction in the middle and secondary grades — How to think about the content and language demands of your lessons, and how you may adjust your instruction to best meet the needs of your English Learners. Addressing vocabulary instruction in each of the disciplines or content areas: English/ Language Arts, Social Studies, Mathematics, Science, Art/Music/Physical Education, and Career and Technical Education. The academic language and academic vocabulary demands of each domain are described, and word-specific instruction as well as generative morphological instruction in each content area are comprehensively addressed. There are separate chapters for the different content areas/disciplines. Appendices and an online PDToolkit that provide (1) templates for many of the activities addressed throughout the book, (2) vocabulary assessment templates, (3) vocabulary game descriptions and directions, (4) word lists and tables of generative roots and affixes in different content domains, and (5) lessons that may serve as templates for your instruction. Instructional videos of experienced teachers. Connections to Common Core and subject matter standards. NEW! An expanded author team enriches the edition with new teaching and research insights and experience. NEW! Separate chapters for the major disciplines/subjects—English/Language Arts, Social Studies, Mathematics, Science, Art/Music/Physical Education, and Career and Technical Education—include different activities and strategies adapted and applied within each discipline. NEW! A new, easily accessible format for presenting the strategies, activities, and assessments now includes purpose, steps, and for many activities and strategies, modifications and extensions. NEW! Chapter notes direct readers to the PDToolkit online resource for helpful videos of vocabulary instruction in action, interactive and downloadable PDFs of the appendices material, and additional downloadable activities and information. NEW! Activity Selection Charts in each chapter help teachers match specific activities and strategies to what they specifically want their students to know about words and concepts, providing at-a-glance support for teachers. NEW! The Common Core Standards addresses strategies for: English Language Arts, Mathematical Practice, and Next Generation Science Standards. NEW! Updated research in vocabulary and acquisition and instruction gives teachers the latest information in the field. NEW! Academic Language is addressed showing how teachers can “unpack” the language of their discipline and make it accessible to students. REVISED ESL chapter includes a strong new multilingual focus, reflecting the most recent research and instructional lens in the field of multilingualism. Shane Templeton is Foundation Professor Emeritus of Literacy Studies at the University of Nevada, Reno. A former classroom teacher at the primary and secondary levels, his research has focused on developmental word knowledge in elementary, middle, and high school students, focusing primarily on the relationships between spelling, morphology, and vocabulary. He is widely published in a number of research and practitioner journals, and is co-author of Words Their Way, Words Their Way with Struggling Readers, 4-12, Words Their Way with English Learners, and, with Kristin Gehsmann, Teaching Reading and Writing: The Developmental Approach. Shane’s other books include Teaching the Integrated Language Arts and Children's Literacy. With Darrell Morris, he co-authored the chapter on “Spelling” in the Handbook of Reading Research, Volume 3; he is author of the entry on “Spelling Instruction” in the Encyclopedia of Education (2nd ed., 2003), and the chapter on Spelling in the Handbook of Research on Teaching the English Language Arts (3rd ed., 2011). Since 1987, Shane has been a member of the Usage Panel of the American Heritage Dictionary. Donald Bear is a professor in literacy education at Iowa State University where he teaches doctoral, master’s, and preservice teachers, and directs the Duffelmeyer Reading Clinic. He is also professor emeritus from the University of Nevada, Reno. Donald is involved in studies that examine literacy learning, particularly studies of orthographic development in different and second languages. His research explores the specific sequence students follow across the synchrony of literacy learning from beginning concept of word in prekindergarten to how morphology underlies academic vocabulary learning. He is an author and co-author of numerous articles, book chapters, and 12 books, including Words Their Way, 5th edition, Words Their Way with English Learners, and Words Their Way with Struggling Readers, 4 – 12. He is an author on several instructional programs used throughout the United States. Donald is also involved in innovative professional development grants, and his work in assessment and word study is used widely. He has received several awards for teaching and service, and is currently a board member of the International Reading Association. Marcia Invernizzi holds the Henderson Professorship in Reading Education at the University of Virginia’s Curry School of Education where she is also the Executive Director of the McGuffey Reading Center. She advises masters and doctoral students and teaches reading courses in the Department of Curriculum, Instruction, and Special Education. Her research on the subject of word study, reading disabilities, assessment, reading development, and intervention, has been published in journals including Reading Research Quarterly, The Journal of Literacy Research, The Reading Teacher, The Elementary School Journal, The Journal of Speech, Hearing, and Language Services, The Journal for the Education of Students Placed At Risk, Scientific Studies of Reading, Applied Psycholinguistics, and Early Childhood Research Quarterly. She is the primary author of Phonological Awareness Literacy Screening (PALS), a literacy assessment used widely across the nation. She is the co-founder of Book Buddies, a tutoring framework for struggling readers, and coauthor of Words Their Way. A former English and reading teacher, Marcia continues to work with teachers and their students at the McGuffey Reading Center. Francine Johnston is a former classroom teacher and reading specialist who learned about word study during her graduate work at the University of Virginia. She is retired from the School of Education at the University of North Carolina at Greensboro, where she taught literacy courses and directed a clinic for struggling readers. She continues to work with regional school systems as a consultant. She is a co-author of the Words Their Way series of books and materials, and has published in a number of practitioner and research journals including the Journal of Educational Psychology, Literacy Research and Instruction, and The Reading Teacher. Kevin Flanigan is a professor in the literacy department at West Chester University of Pennsylvania. He works in the WCU Reading Center, where he and master’s students work with children who struggle to read and write. A former middle grades classroom teacher and reading specialist/coach, he researches and writes about developmental word knowledge and struggling readers and works with schools to implement effective literacy instruction. Kevin has authored or co-authored articles in The Reading Teacher, The Journal of Adolescent and Adult Literacy, the Journal of Literacy Research, and is a co-author of Words Their Way With Struggling Readers: Word Study for Reading, Vocabulary, and Spelling Instruction, Grades 4 – 12. He is co-author, with Latisha Hayes, of Developing Word Recognition (2014, Guilford Press). Dianna Townsend is Associate Professor in Literacy Studies at the University of Nevada, Reno. Her research is in the areas of adolescent literacy, academic language, and the academic vocabulary development of English learners. Her work has been published in The Elementary School Journal, Reading Research Quarterly, Reading and Writing: An Interdisciplinary Journal, Topics in Language Disorders, the Journal of Adolescent and Adult Literacy, as well as in a number of edited volumes. In past and current studies, she has examined what adolescents know about and can do with academic vocabulary. She also facilitates inquiry-based professional development with secondary teachers, partnering with both novice and expert teachers, to investigate the best approaches for supporting adolescents in developing academic language proficiency in the disciplines. A former secondary English teacher, Dianna teaches classes in adolescent literacy, content areas literacy assessment, and literacy research methods. Through her teaching and writing, she helps both pre-service and in-service teachers understand the language demands of the disciplines and provide scaffolds so that all students can access instruction. Lori Helman is Associate Professor at the University of Minnesota in the Department of Curriculum and Instruction, and Co-Director of the Minnesota Center for Reading Research. She specializes in literacy education and teacher leadership. Formerly a bilingual classroom teacher for 16 years, Lori was also a coordinator of beginning teacher development and literacy coordinator of her school district. She has expertise in working with students from culturally and linguistically diverse backgrounds, and is bilingual in Spanish. Her research focuses on students’ language and literacy development, including students who are learning English as a new language. She has a deep knowledge of the theory and practical application of vocabulary and word study. Lori is lead author of Words Their Way with English Learners: Word Study for Phonics, Vocabulary, and Spelling Instruction and co-author of others in the series that help teachers build on the resources of multilingual students. She has also published texts and articles on various aspects of literacy development and instruction, and their applications to diverse learners and teacher education. Latisha Hayes has taught students with reading disabilities in the primary through middle grades as a special educator and reading specialist. Now a clinical assistant professor at the University of Virginia, she teaches courses on the diagnosis and remediation of reading difficulties. She works with preservice and in-service teachers at the McGuffey Reading Center, where students across the grades receive diagnostic and tutoring services. Latisha’s interests have focused on the support of struggling readers through university-based programs and partnerships. Her work has been published in Reading Research Quarterly, Literacy Research and Instruction, Communication Disorders Quarterly, and the Handbook of Reading Disability Research; she is co-author of Words Their Way with Struggling Readers, 4-12, and with Kevin Flanigan, Developing Word Recognition (2014, Guilford Press).